This application has meant for N800 or N810 device and Chinook operation system. V.0.3 is for Bora. There are two views in the camera: camera and gallery views. User can take photos at camera view. 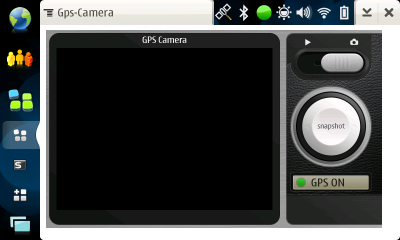 GPS ON or OFF is shown there (Photo 1). 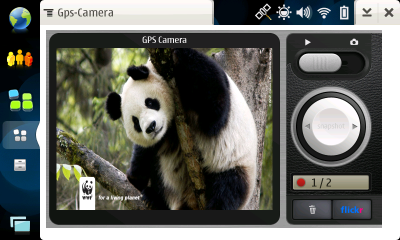 At gallery view user can browse photos and delete or upload selected photo to flicker (Photo 2). See more helps.